Enterprise Mobility offers most comprehensive, advanced Multi-Touch Table solutions, which are elegantly designed and developed by highly skilled and experienced team of designers and engineers, who have expertise to implement most complex and comprehensive Multi-Touch Tables business solutions at flexible business locations. Our EM Tables are elegantly designed with highly creative and color full, stylish shapes that take minimum space at most of business environments. 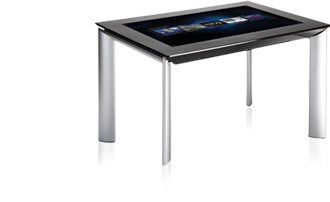 EM Multi-Touch Table solutions comes with High-performance industrial-grade CPU motherboard modules which are ideal for running highly interactive media services and they are also available with a choice of three standard processing models. 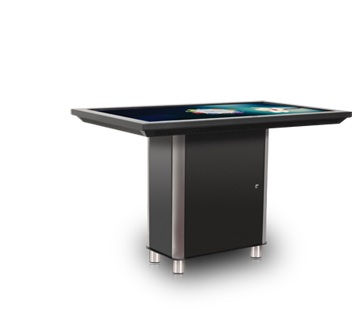 EM tables advanced specification makes it an innovative and advanced multi-touch table, which is very reliable to manage most complex demanding applications and processes. Our designed EM Android Table comes with our best designed and developed cloud based CMS solution which can be easily installed on all of our tablets. Our designed EM Android tables can be easily optimized as default auto start app with full screen display option, without the menu bar ,or with the SD Card stored media files, which can be easily set up in auto repeat loop mode (repeat one, repeat all, or playlist repeat) once connected to power. 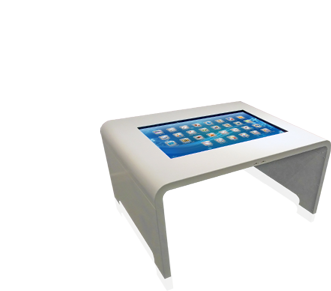 EM Android Table comes with most advanced and innovative features such as motion sensor activation, auto power on and off, password protection, USB auto copy, data performance report, and it is also compatible with a wide range of third-party CMS, EM Android Table possess the best android-based cloud signage display. 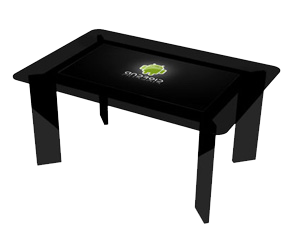 EM Android table system solution is developed most advanced Android 4.1.1, Operating System which applies on all new processing architecture, further it has most advanced dual core processor, which is quite helpful for improving hardware performance. EM Android table dual-core processor and Android 4.1.1 OS, has very rapid webpage opening rate, app installation app loading, video and photo loading speed. 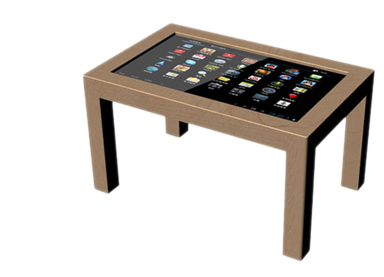 Our designed Android table system solutions can easily be used to run most advanced Android applications, which can also be downloaded from Android App Store. Our designed EM Android multi- touch system solutions are designed with removable feet to be dispatched easily to you location. 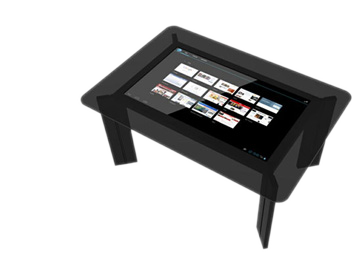 Our high class, elegantly designed Android multi-touch table comes with high quality metal coating case with 10mm highly secured glass on the top.